One car dealer in Essex has forgotten about the world of motor trade insurance to instead bask in the limelight of his cameo performance in the latest James Bond blockbuster Spectre. Mark Franklin usually spends his days working as a classic car dealer from his home in Stansted Mountfitchet. However, the 51-year-old briefly traded this in to play an American crime boss, seated at a large table next to Bond baddie Christoph Waltz at a meeting of the evil organisation Spectre, Car Dealer Magazine reported. Released this week, it would be easy to miss Mr Franklin within the movie as he does not actually have a speaking part. Nevertheless, the car dealer, who is the third generation of his family to work in the car selling industry, said he was delighted to get a brief inclusion in one of the iconic action films. As he works from his home doing "bits and bobs of business", Mr Franklin said he had time on his hands away from renewing his road risks insurance policy to partake in a bit of acting work, so signed up with a local agency to get roles as an extra. Apart from Spectre, which premiered on Monday night (26 October), he can also be seen in the new ITV drama series Jekyll and Hyde which started on Sunday night. 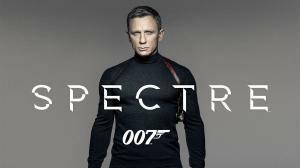 Mr Franklin said: "Spectre is the biggest film I have been involved with. It really opened my eyes to what’s involved in putting a film like that together – the sets are just amazing."